Annual Maintenance Contract is just like an Insurance policy which protects your Barcode printer investment, Barcode printer downtime and repair costs. To enhance the High level of service provided to our customers, EXCELELNT SALES SYSTEM offers now an Annual Maintenance Contract that provides high quality services and on line support. With a Annual Maintenance Contract of barcode printers you will have the 100 % assurance of knowing that repairs and solutions will be provided very efficiently, effectively and economically by trained Excellent Sales System Engineers. Having Annual Maintenance Contract with us you can save repeated maintenance cost of Barcode printers and breakdown time. Established in the year 2005, Excellent Sales System is amid the most renowned names betrothed in the business of manufacturing and supplying a comprehensive variety of products including Adhesive Labels, Printing Ribbons, Pet Strapping Products, Films and Tapes, Laminated Pouches, Silica Gel, Scanner and Printer and many more. 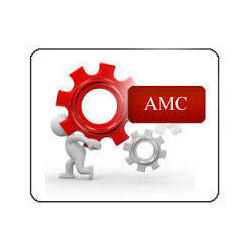 We are leading service provider of AMC Services for Printer. Manufactured using pristine grade basic material and advanced tools and machinery, our offered range of products are examined on a number of standards before final shipment of the order. Furthermore, their extensive submissions in automobile industry make these extremely suggested and admired.